Get ready to take your compositing skills to the next level! Join Corey Barker as steps you through the creation of a fantasy composite image, from extracting the subject though the final touches. Whether you are using an older version of Photoshop or the latest, you’ll learn how to cleanly extract your subject from the source image, how to build a background environment around your subject, and how to blend all of the elements together using lighting and atmospheric effects to create a believable composite image with impact. Corey will show you ways to use Photoshop that you’ve never thought of before, and he wraps up the class with cool tips for adding text and blending non-human objects into your composite. In this course Corey will take you through building a Hollywood movie poster effect starting with a simple studio shot. Ready to learn the techniques used to build a typical Hollywood movie poster? Join Corey Barker as he leads you step-by-step starting with a simple studio shot and building it into a full design. Join Corey Barker as he takes you through creating a fully realized 3D logo in Photoshop CC! Corey shares a few tricks in Adobe Illustrator that you may find useful. This course is an awesome collection of cool Photoshop effects you can use right away to give you amazing results, quickly and easily. Follow along with Corey as he shares tips on achieving some popular effects used today. Each video is an independent tutorial so you do not have to follow in sequence. Just jump right to the video you want to watch and enjoy. It's the holidays, and you need to start thinking about how to make those holiday cards. You're into photography, and into Photoshop. Instead of taking the same picture for your holiday card, or running to the mall to get that moment with Santa - how about making a card that they'll really remember. This class will show you how to use a simple playground to make a funny scene using simple gear and Photoshop. We'll then move back into the lab and show you post processing tricks that will take that image to the next level. We'll even add to the Christmas Card by using compositing - and our library of Santa Claus pictures that are yours to keep! Corey Barker takes you through the newest features of Adobe’s brand new release of Photoshop CC 2015.1 - released November 30, 2015. Learn how to create a fast and fun splash effect to your favorite photos in just 35 minutes. In this quick lesson, you'll learn how to extract objects, color match and blend effects, and other special finishing effects for adding realistic splash effects to your images. Take your Photoshop effects skills to the next level with the first class in a new series from Corey Barker! Each Master FX class is a project-based course where you will learn how to do something creative as well as use an assortment of Photoshop tools in ways you might not have thought of before. The project in this class was inspired by the movie Maleficent, and Corey demonstrates, step-by-step, how you can start with a simple portrait and take a creative journey in Photoshop that involves seamlessly incorporating elements from other sources as well as creating new elements from scratch. By the end of the class you'll be looking at using Photoshop in entirely new ways. Join Corey as he gets you up to speed with all the newest features in the new Photoshop CC 2015 June update. This new update largely caters to designers who use Photoshop by adding new features like Artboards and enhanced layer styles but photographers will also be intrigued by the new blur and content-aware features plus so much more. Be the first to master these new features today. Join Photoshop master Corey Barker and learn how to take your 3D skills to the next level! In this class Corey takes you through all of the steps involved in three different projects that showcase some of what you can do in 3D. Starting with a logo project that was originally done two dimensionally, Corey shows how it can be done in 3D as well as what the benefits are of having the logo as a 3D object. From there Corey steps you through a project designed to show you how to create a product in 3D and then place it in an environment that looks just like a product photograph. The final project takes things a step further with a demonstration of how you can merge 3D objects with photographic elements to create a composite image with incredible realism. This class has something for illustrators, designers, and photographers, and will leave you wanting to dig in and see what you can do in your own work. Straight from one of the most popular columns in Photoshop User magazine, Corey Barker takes us through his favorite Down & Dirty Tricks in Adobe Photoshop. Corey has an amazing ability to take inspiration from the world around him and leverage it to discover creative and cutting edge techniques in Photoshop that can be applied in all kinds of projects. Each project reveals new techniques for everything from compositing to 3D text effects. You may have read the columns, but seeing the tutorials come to life with Corey's narration and insights takes them to a whole new level! Learn quick and easy tricks to getting high end broadcast style motion graphics and animations including animating in 3D! We all know that Photoshop has a ton of features in it for designers. But if you're just starting out it can be a little overwhelming. So in this class, design guru Corey Barker, starts out with just the basics. You won't learn everything there is to know in Photoshop. But you will learn everything you need to know to get started and you'll be ready to move on to the next level in no time flat. In this course Corey shows you how to take advantage of features in Adobe Illustrator in ways you may not have thought of. Not just learning what the tool does but also giving you what you need to know to experiment further. Corey also covers some features new to Illustrator CC. Have you ever wondered what you can do with After Effects but just never had the chance? Well join Corey Barker as he takes you through the basics of using After Effects to import video and add special effects and animated elements like text using keyframe animation. Learn how to utilize Typekit as part of your Creative Cloud experience by accessing the vast collection of fonts and syncing them over you desktop applications and even your websites. Channels have so much functionality from being able to edit and correct images to creating, modifying and saving selections. With so many advances in Photoshop Channels still remain a valuable feature and really help to understand how Photoshop sees images. Blend modes basically mix things up. They are the various methods to combine pixels to enhance, correct, or spice up an image quickly and easily. In this course we will explore each blend mode in the various categories and also discuss what the most commonly used ones are an why. This is course use designed as an overview of what Photoshop filters are and what type of results each one produces. Once you have a basic understanding you can combine them to create a myriad of graphic and photo effects. The ability to format text in Photoshop has come a long way allowing you to fully format text like you would in any page layout program. We will cover all the text tools in Photoshop and how to use them and get the most out of type in your Photoshop design. The Preferences in Photoshop allow you to customize Photoshop further by letting you determine the appearance and other various functionality of the program so it caters to you rather than you to it. Here we will look at each category and so can help understand what you may or may not want Photoshop to do. Ever wanted to create one image out of many others? 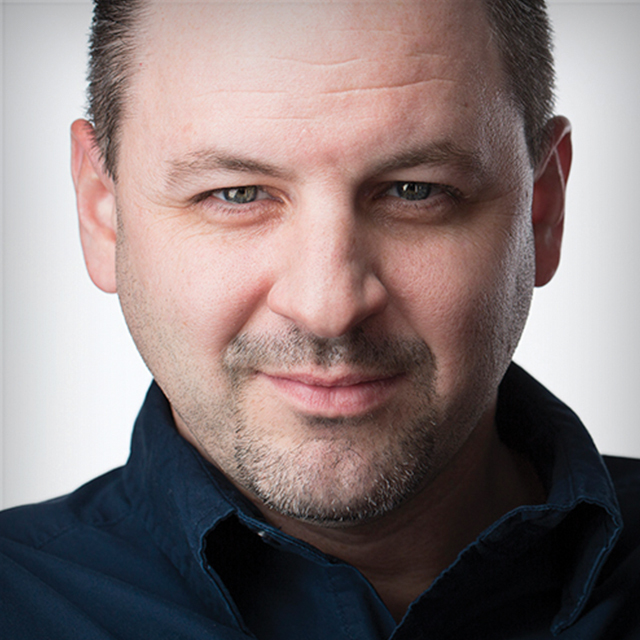 Then you'll need to learn compositing and who better than the compositing king, Corey Barker. In this tutorial, Corey will teach you all the pro techniques used to create seamless composite photos. Join Corey Barker as he systematically breaks down ten necessities that every designer needs to know if they're going to be using Photoshop to create their images. Corey Barker teaches you some hidden tips and tricks in Adobe's Photoshop to help make your photos as amazing as possible. Corey Barker brings you up to speed with all the new changes made to CS6 in a quick and easy way. You'll go through everything from the dark interface to some of the new settings. Selecting in Photoshop is both a necessary skill and an absolutely confusing mess for brand new users. With this in mind, Corey Barker has created a crash course made to teach you all the ways to select so that you have the skills necessary to create breathtaking works of art. Corey Barker shows you a myriad of different effects in Illustrator and helps showcase effects and results that you may not be able to get in Photoshop, all the while, remaining engaging and easy to understand. Join a master and add these skills to your list today! Corey Barker takes you through the updates made in the new December 2012 update to the Adobe Creative Cloud, teaching you all the ways it has improved so that you can make the most of your post-processing. Explore and exciting wave of possibilities with the newly enhanced 3D features in Photoshop CS6 Extended. With these new performance enhancements, implementing 3D into your design work has never been easier or more fun! Join Corey as he shows you how to hit the ground running with these newly enhanced and intuitive features. If you haven't started experimenting with 3D yet, now is the time! Join Corey Barker as he shows designers some fun and creative ways to manipulate text in Photoshop. Along with a healthy dose of design tips, viewers will also learn about where to find free fonts on the web, sources for type-design inspiration, how to design with smart objects, color effects, and layer styles. The last few lessons of this course cover how to design with the new 3D tools in Photoshop CS5 Extended. These final lessons are specific to CS5 Extended, but there is plenty of information in this course for every version of Photoshop. Whether you work in print or web, text effects are important design elements for users in every area and at every skill level. This course is the first of its kind with its main concentration on blend modes in Photoshop. If you are serious about mastering all that Photoshop has to offer, you will find that being familiar with blend modes is as important as mastering layers. In this course we will explore the function of blend modes in a variety of scenarios such as image restoration, sharpening, adjustments, special effects, and so much more. Along the way you are encouraged to experiment with these blends modes in different ways than shown. With every project scenario being different, it is good to be familiar with the numerous possibilities. This course covers the many ways to take advantage of pressure sensitivity in Photoshop. By utilizing the pen and tablet features built right in Photoshop you can have a greater degree of control that would be otherwise impossible with any other input device. We will also explore some techniques that will perhaps help you be more creative without being limited by the hardware. This course is a collection of some of the coolest Photoshop effects being used today in movies, TV, magazines, and the web. Exploring everything from light and brush effects to full image composites and 3D effects. While along the way utilizing some of the coolest new features in Photoshop CS5. This is the course that will motivate and inspire you to push Photoshop to its limits. We have certainly seen 3D in Photoshop slowly evolve over the last couple versions, but now I feel that this latest upgrade could be a game changer in the world of Photoshop 3D. In this course we are going to explore these new features to see what they are capable of. Especially with what is the centerpiece of all the new 3D features: Repousse. Which, among other things, allows you to create 3D text. That's right! Create 3D text inside Photoshop. You can also combine multiple 3D objects and add lights to generate reflections and shadows in no time at all. Just seeing these features in action will just blow you away and you will stunned at what you can do with 3D using just Photoshop. In this course you will explore the various ways you can utilize channels in Photoshop to make adjustments, create complex selections, advanced masking techniques, special effects, and so much more. When working with so many different type of images in Photoshop there are always going to be different scenarios that require a variety of tools and techniques. This course is packed with different and effective techniques that, by the end, will equip you with an arsenal of selecting and masking tricks up your sleeve that will allow you to approach virtually any scenario Photoshop throws at you. We are going to dig into Photoshop's 3D features from a creative designer's perspective and create some outrageous eye-popping 3D graphics all right inside Photoshop CS4. While a basic understanding of 3D is helpful, you don't need to be a 3D expert to take full advantage of these features. So strap in, this is going to be one heck of a ride! Corey examines the new Wacom Intuos 4 tablet and takes it through its paces to show you what it can do. This course goes beyond using Photoshop as a photography tool and teaches you how to create eye-catching design effects with photos and even from scratch. Here you will get an overview of Photoshop's core functions, which is a great place to start if you are new to Photoshop CS4 or Photoshop in general. This course is a primer on the use of Layer Styles in Photoshop to enhance your photos and graphics. This course covers all aspects of using paths and shapes inside Photoshop. Everything from basic paths, vector masks, and complex selections. Get Ready to Unlock Your Creativity! Join Corey Barker as he guides you through his creative process and examines the various tools and functions inside Elements. After learning the basics, Corey pushes beyond the obvious to show you how to achieve unbelievable effects.